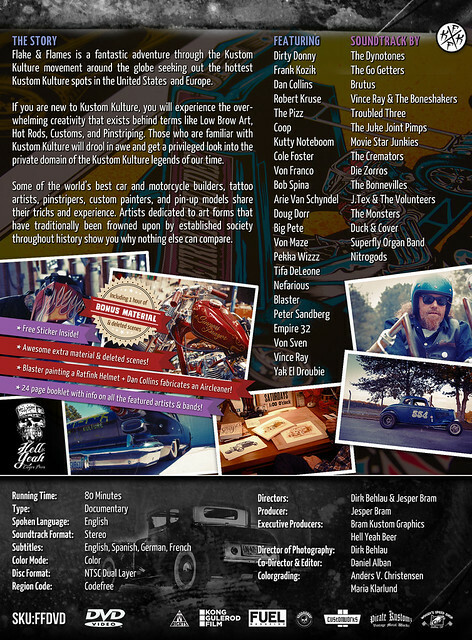 Harley Davidson USA licensed Dirk Behlau's photos for the HD Street Launch 2014 campaign - incl. a TV-Spot and online campaign. "It's a five year dream that has been realized! Finally the cover has been removed from the epic Dickies/Harley Davidson custom bike! Nearly five years ago that Dickies representative Olaf Meinssen met Custom Bike builder and Speedmonsters Garage Owner Malte Kosack and it wasn't long before the idea of a dream bike was being talked about. Both being passionate about two authentic American heritage brands, the Dickies/Harley Davidson was a dream that needed to be realized. Finally under a cloak of intense secrecy, at the beginning of 2013, work started on what would become the Dickies Hard Work custom Shovel head. Utilizing an original 1954 rigid frame, shovelhead engine, enhanced with other feature parts dating from the 70's and completed with a custom embossed Dickies Hard work saddle. This collaboration with Dickies also celebrates 30 years since Speedmonsters opened its garage doors to building custom dream bikes." 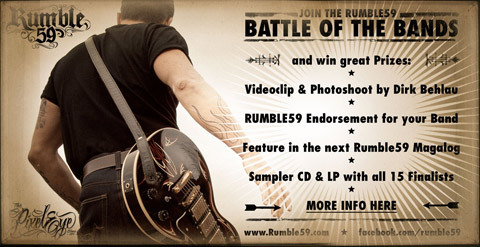 RUMBLE59 proudly presents the winner of the first "Rumble59 Battle of the Bands"! "The Pinstripes" with their energetic Rockabilly Song "Let's get it on" have won not only the contest and a lot of sweet girls' hearts, but a treasure chest full of Rumble59 Outfits, a trunk full of "Hell Yeah! "- Beer and last but not least this awesome Musicvideo for their winning Song! So without further ado: Let's get it on! The Blog is sleeping... please visit me on Facebook & Instagram! 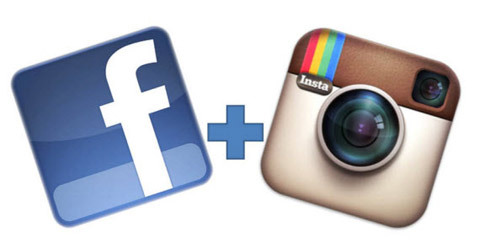 official Facebook profile for brand new daily updates! "Real Beer and Rock'n'Roll Lifestyle have always been about Honesty and Faithfulness. With Hell Yeah we want to bring those things together which naturally belong together. 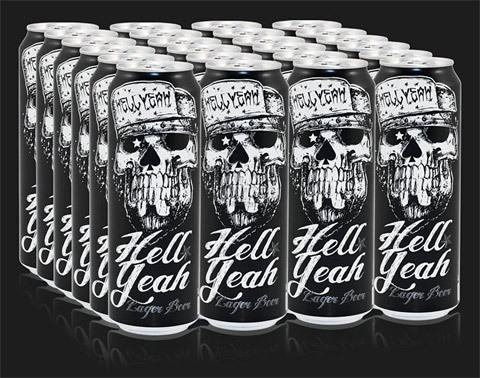 "Hell Yeah Lager Beer" is 568mL of true German Premium Lager with 5.0% alc. This lager breathes pure Rock'n'Roll Spirit, comes with a great beer-loving taste and is brewed in accordance of the German purity law of 1516." Order here! Your band rocks harder than all the others? Then show the world what you've got! and let the whole Rock'n'Roll Community know what you're made of. You may have this one killer song, one piece of music that turns every venue into a boiling pot. A musical jewel that's hidden in your drawer, or a coverversion that's even better than the original recording? The 15 finalists (chosen by a jury of specialists) make it onto our compilation "THE WILD SOUND OF RUMBLE", to be released in Winter 2013/2014 on CD & Vinyl LP. 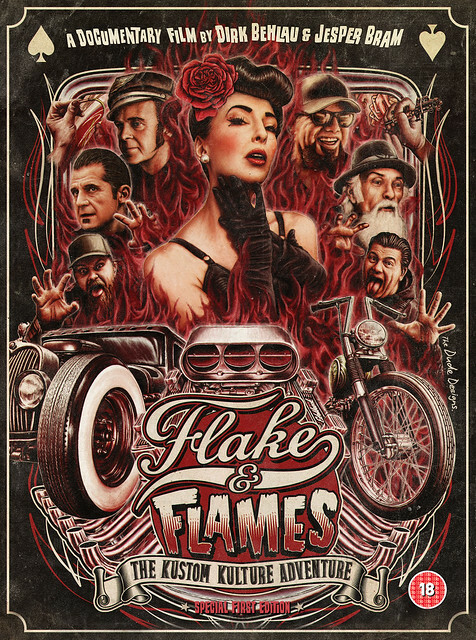 "THE WILD SOUND OF RUMBLE" will be available for a reasonable price at http://www.Rockabilly-Rules.com (more than 50.000 customers), in our shop in Essen, on iTunes and other download-stores. From all 15 finalists our customers will crown the Top Act, who will not only famous through a feature in our next magalog (10.000 copies), but will get Rumble59 endorsement for the whole band. No other than Dirk "The Pixeleye" Behlau will be responsible for directing a musicvideo with the winning band and new bandpics will be taken by him also. All of that will be promoted by Rumble59 and you'll be assured that the Rock'n'Roll-community will be aware of your band! and we welcome all infusions from Blues to Punk'n'Roll, Outlaw Country to Southern Rock, Folk Punk to Doo-Wop. As long as it's handmade and dirty rockin' like there's no tomorrow. Send your song until October, 31st. Murielle Stadelmanns „Gaumenkitzler-Rezepte“ sind, wie sie selbst, eine wunderbare Mischung aus pfälzischer Bodenständigkeit und französischer Diva. In dem Videokochbuch erwachen die Rezepte zum Leben. Die Deutsch-Französin Murielle kocht nicht nur einfach und originell,die ausgebildete Opern- und Jazzsängerin, singt beim Kochen und kocht beim Singen, beides immer mit voller Leidenschaft. Ob Couscous Salat, Daube de Boeuf, Lavendel Huhn, TarteTatin, Merveilles oder andere Leckereien, ihre Rezepte sind einfach und exquisit zugleich. 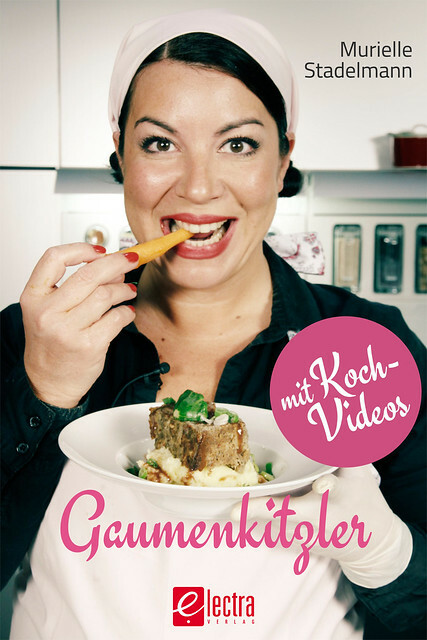 Das Kochbuch ist mit zahlreichen Filmen und Tipps angereichert, die Lust aufs nachkochen machen. Gute, bodenständige, raffinierte französische Küche. Demnächst auf dem iPad zu bewundern und auf allen eBook-Plattformen erhältlich!